By creating more competitive markets for health insurance exchanges, Medicare Part C and other health services, the nation can save big, says Ezekiel J. Emanuel, chair of the Department of Medical Ethics and Health Policy at the University of Pennsylvania. After decades of false starts and frustration, free market champions should be cheering— competitive marketplaces work in health care. And no matter what your opinion of Obamacare, you have got to admit, that’s a good thing. It’s now been about a decade since President George W. Bush enacted Medicare Part D — a competitive market for drug benefit plans with government set ground rules. Competing plans have to comply with benchmark regulations—for instance, they have to cover two or more drugs in each drug category—but otherwise, they are free to set their formularies, premiums, tiering arrangements and co-pays. How has it worked? Today, there are over 1,000 plans offered in Part D, and beneficiaries all over the county have a wide variety of choices. Even seniors in rural states such as Alaska can choose from over 24 plans. Medicare Part D has cost below all government projections since its inception. In 2013, it was 50% below what the Congressional Budget Office originally estimated. Cumulatively, over its nine years, Medicare Part D has cost $197 billion less than projected. While there are many reasons for the lower than expected costs, including many heavily used brand named drugs losing patent protection, the CBO recently reported: “a larger number of plan sponsors in a region was associated with lower bids.” Plans have figured out how to stay profitable with lower bids by, for instance, promoting the use of generic drugs among their beneficiaries. It is no wonder, then, with low costs and high choice, the vast majority of Medicare beneficiaries are satisfied with their drug plan. Almost the same thing has happened in the purchase of durable medical equipment. The same law that gave us Medicare Part D also gave us an experiment with competitive bidding for hospital beds, wheelchairs, oxygen equipment, prostethesis, and many other items used by seniors and paid for by Medicare. In the past, Medicare would set prices according to a fee schedule. With competitive bidding, manufacturers are pitted against one another. The Affordable Care Act will expand this program nationwide by 2016 unless Congress votes to prevent it. The result has been what free-market competition would predict — huge savings. On average, expenditures for this equipment dropped 42%. And the government’s actuary anticipates nearly $26 billion in total government savings and $17 billion in out-of-pocket savings for seniors by 2022. Despite industry-funded complaints about seniors losing access to necessary equipment, studies have not shown problems. Additional proof that competition can moderate costs in health care is evident in Obamacare’s health insurance exchanges. A recent evaluation by Kaiser Health News of the 2015 premiums for the lowest cost silver plan in 34 states with federally operate exchanges show that counties in which there were no new insurers in the market premiums increased an average of 7% whereas in those with at least one new insurer, premiums increased just 1%. The exchanges are another triumph for market competition. There is more we can do to stimulate more competition and lower prices in health care. First, Medicare could use some help to improve the competitive bidding process so gaming is reduced, the bids are binding, and quality is guaranteed. I have long proposed having a board of experts from business and academia to advise Medicare on doing competitive bidding right. In addition, Congress should also expand competitive bidding beyond medical equipment to things like automated laboratory tests, X-rays, and anything else that an advisory board thinks is amenable to competitive bidding. Second, Medicare Part C—the privately-run Medicare Advantage plans—should also be shifted to a better competitive bidding process. About 30% of Medicare beneficiaries are now enrolled in Part C—and it is expanding fast. The current bidding process is extraordinarily complicated. And, Medicare overpays. On average, before the Affordable Care Act, Medicare paid Part C plans 114% of what the services would cost if provided in traditional Medicare. Today, because of the ACA, it is down to 106% — still overpaying. Instead of linking payments to a government-set benchmark, payments should be linked to what insurers actually bid to provide the established basket of services to seniors with bonuses for those plans that rank higher in terms of quality. Such competition gets the government out of price setting and incentivizes low cost-high quality care. Third, we can encourage more competition in the exchanges. To do this, we need to boost enrollment in order to make it more enticing for insurers to enter the market. Merging the exchange for small businesses into the exchanges for individuals could accomplish this. In addition, competition on price and quality could be facilitated by only allowing a certain number of plans per insurer at each metal level based on premiums, and setting minimum quality standards. This would incentivize them to offer cheaper plans. Finally, we need more price and quality transparency. Car dealers are required to stick to the MSRP and quality standards on the windows of all the new cars they sell. 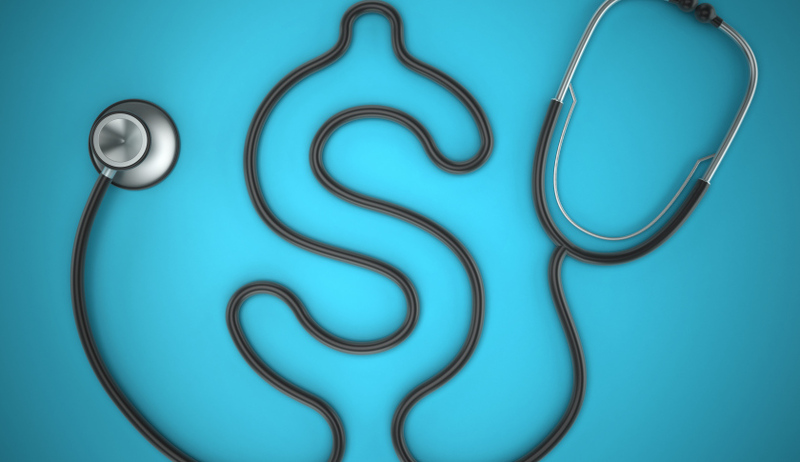 Why shouldn’t hospitals and other providers publish their “all-in” prices and quality standards for standard elective procedures—such as MRIs and knee replacements—as well? This will facilitate consumers being able to shop around for the best-value care and create competition among providers. We have significant evidence that market competition works to control health care costs—just like in other industries. While some market-oriented proposals would leave patients with stingier coverage or higher costs, the reforms detailed here would improve patient choice and lower costs. With the American people standing to benefit both as health care consumers and as taxpayers, the government should push where it can to expand competition and save us all more money.